Your Car Accident, Insurance, Employer Blog. SEATTLE (ESTRA) --What kind of music moves you? There is nothing like music to soothe the savage beast inside of us. Use it today to reduce the stresses, pain, or suffering of everyday life. It has a way of reuniting our body, mind, and soul, bringing balance within our world and ourselves. Music can move people in very personal ways. 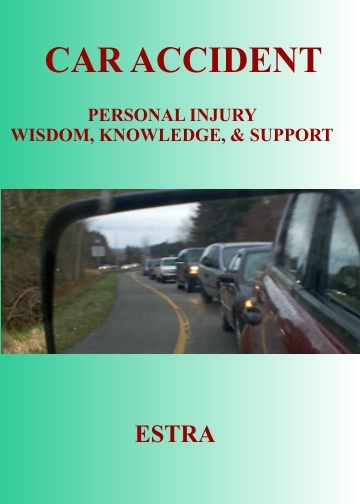 Is your life fill with chaos after a car accident? Is daily peace hard to find? Try using music to calm and soothe yourself after a distressing or painful day. Let your mind drift, dream, and relax. Make this time yours to enjoy what is personally important in life. Although this may not eliminate chronic pain, suffering, or trauma from life experiences, it may help process information or at the very least, place it into perspective. Yes, music has a way of providing understanding by providing communication within ourselves. The selection of music is a personal preference. One’s taste and moods play role in this decision-making, which requires different tempos or genres. Personal choice influences which music is soothing, empowering, informative, or just plain old fun. While hearing music, notice emotions and state of mind. What does the melody mean to you? What are the lyrics really communicating? Are enjoyable memories coming to mind? Are you reviewing acquaintances, places, or past incidents in your life? Is this a pleasant state? By becoming adventurous and expanding music horizons so to speak, new sides of you are unexplored, yet songs are common enough with life experiences that they are still enjoyable. What a great way to give your mind and body an escape from pain, suffering, or just a change in daily routines. Perhaps reflecting back on things done before injury creates a strong desire to dream about being able to do those things again in the same or a different ways. Cans you sense those past pleasures while hearing a song? The bottom line is, does it bring comfort to your soul? Did you find that special place which brings peace and harmony within? No two people may experience music in the same way or for the same reasons, yet, there may be common ground in its experiences. Music is a gift to be treasured. And, now it is offering more by allowing some relief from sickness or injuries from a car accident. May you find the music that moves you to this place. Music to sooth your soul provides relief from pain, suffering, harassment, intimidation, along with other daily stresses. Harassment and intimidation should not be a major focus in your life. You are more important. Abuse by bullies will keep you down if that's all you do. A more rewarding idea is to become an advocate of change for ERISA Reform, so Insurance Companies and Self-Insured Employers can no longer intimidate insureds. Music is a way nice to renew your spirit, listen to new and old songs, explore different genre or expand your horizon. It is a better use of time. So right now, listen to music, and chill. Meditate on where to go from here and where you've come from. Think how to improve your life over a light relaxing song or a very energetic one. It's a relatively cheap escape and provides time to dream, romanticize, and takes your mind any place it wants to go. So let music into your mind, body, and soul. Injest it’s magic to reduce the pain, suffering, or just add more enjoyment to your life. Be adventurous and explore different types. You might be surprise of how far your taste can grow. I hope you feel better and find useful ways to enjoy music.